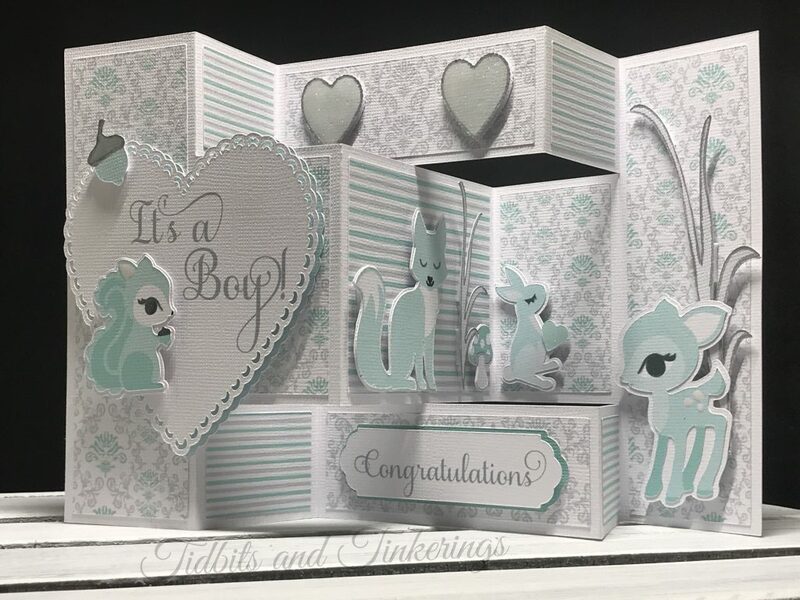 These tri-fold cards always get that "WOW" reaction from the recipients and have a lot of space to go crazy with embellishments. The girl card pictured is one that I made using digi files that I purchased from Etsy (links below) but I tried my best to substitute with like images from Access, as seen on the boy card. I tried to photograph the card as best I could to show the folds because it's easier to follow a picture than it is to try to follow a written explanation. I used print then cut for the majority of my images but you can piece together as well. For a step by step on how to assemble this project you can watch the video on my YouTube channel here. 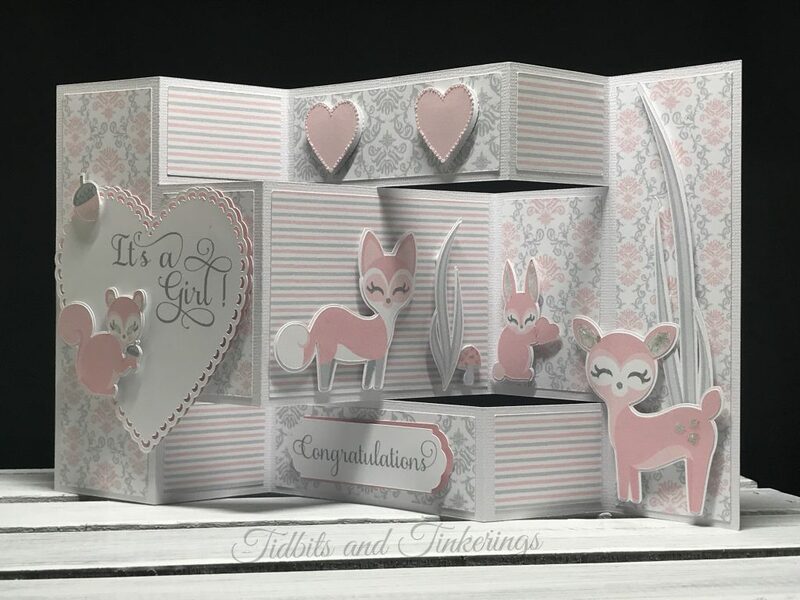 Woodland Animals Clip Art - https://goo.gl/PwMcUi (SVG) or https://goo.gl/9fRjBn for the pink and gray that I used. Any chance you can make this public again? I bought the woodland animals in both colors and was looking forward to making this card. Figure it’s probably an accident that it’s private. Hi Kelli. Here’s a temporary link to this project, https://design.cricut.com/#/design/91744594. Hopefully Cricut will launch the fix for shared projects soon so that all of the links will start working again.